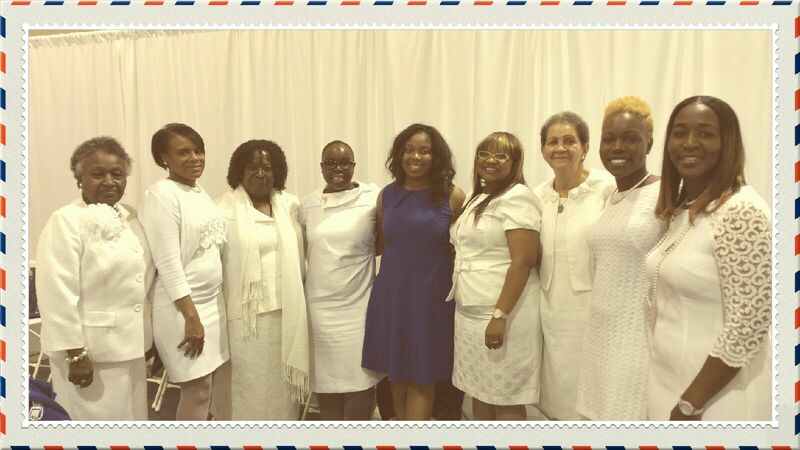 This year, Xi Xi Zeta invited several chapters to join in with them for a Founders Day Celebration at First Saint Paul A.M.E. located at 2687 Klondike Road in the city of Lithonia, Georgia. On Sunday morning, January 17, 2016 at 10:00 a.m., chapter members from Sigma Mu Zeta, and Sigma Omicron Zeta joined the Zetas from Xi Xi Zeta in a very moving church service that brought together nearly 40 Zetas from across the Atlanta Metro Community. During the church services, Soror (Rev.) Monica Taylor provided a history of the Zeta Phi Beta Sorority, Inc. organization and she was followed by Soror Deborah McClanahan who welcomed the Zetas in attendance to run, jump, clap, and praise the Lord in their own way. Later in the service, the Pastor of First Saint Paul A.M.E. church welcomed the Zetas and stated, “In my 15 years of being a Pastor at this church, the Zetas were the only sorority who has worshiped with them faithfully over the years and for that he was truly grateful and thanked them for their continuous support of service”. During altar call, Rev. Crawford invited All Zetas in attendance to the altar and prayed a special prayer with and for them. The service ended with Dr. Rolundus Rice (Talladega University), delivering a morning message about the Life and Legacy of Dr. Martin Luther King Jr. and the choir rendering songs of Zion. The event was followed by the Joint Chapters traveling to THRIVE Christian Academy to attend their Rededication Ceremony with 34 members in attendance. A special thank you to this year planning committee, Soror Karen Hughes (ZHOPE Coordinator, Sigma Mu Zeta), Soror Twanitta Pouncey (Basileus, Sigma Omicron Zeta), and Soror Deborah McClanahan (Basileus, Xi Xi Zeta).